William James Taitoko was born on 17 January 1949 in Cambridge where he did his early schooling. He registered as a student of Whangarei Boys' High School on 6 February 1962. When he left at the end of 1965, the School records indicated that it was to take up a printing apprenticeship in Auckland. In between 1962 and 1965 there is little to record of Billy’s time at the School. He went on two geography trips – one to Australia and the other to Nelson. In 1964 he was the Form Captain of Form 5E and also that year achieved first place in the form academically. However it is probably fair to say that he spent a somewhat unspectacular 4 years scholastically at the School and after not attaining his School Certificate at the end of 1965 Billy left. The signs were there though of the career that might be ahead for him having formed his own band while at School. However it was not until he had spent some years in a commercial art apprenticeship and then several driving jobs that Billy finally took the plunge into the world of full time entertainment in 1973 when he left the country to tour Europe, America, Britain and Australia, joining up with the Maori Volcanics in 1975. Following that his solo show in Australia, then New Zealand, included skits and impressions as well as cabaret singing. It was while living in Australia that Billy dropped the name Taitoko, apparently because, according to Billy, Australians had difficulty pronouncing it. He returned in 1977 to perform in cabaret and became in great demand. But it was not until Billy was ‘discovered’ by producer Tom Parkinson while performing at a rugby league club that his television career took off. Tom created the television programme ‘Radio Times’ in 1980 as a method to display Billy’s wide-reaching talents. This was followed by ‘The Billy T James Show’ in 1981, a show that involved a series of comedy sketches and which featured a number of well known New Zealand show-biz personalities, particularly Annie Whittle, Laurie Dee and Peter Rowley. It was this series that introduced characters and parodies to the New Zealand public that are still remembered today. For example, the Maori Newsreader in Te News, Marae Witness News, Turangi Vice and Entertainment That’s Weak. It was also during this show that New Zealand heard for the first time ‘If it wasn’t for the poms you’d all be the same colour as me, mate’ and ‘I’m half-Maori and half-Scottish: one half wants to get drunk and the other half doesn’t want to pay for it’. In today’s world there would not be an actor who could get away with that. Even Politically Correct would have become Pure Crap if Billy had gotten hold of it. It was also through these shows that Billy introduced New Zealand to the ‘black shorts, black singlet and yellow towel’ ensemble and ‘Maori giggle’ that would become his trademarks. Sadly the Billy T James Show was curtailed in 1986 with TVNZ citing rising production expenses. About that time Billy made his big screen debut in the movie ‘Came a Hot Friday;’ where he played the part of the Tainuia Kid, a crazy Maori character who believed he was a Mexican bandit. He also provided a voice for the animated feature ‘Footrot Flats:A dog’s Tale’ and cameos in other movies ‘The Leading Edge’ and ‘Kiwi Magic’. In 1989 Billy and Tom Parkinson again colluded to produce the sitcom ‘The Billy T James Show’, where Billy starred as a DJ on Radio Cuz FM again with other personalities Ilona Rogers and Mark Hadlow. He also took time to produce two cartoon books, based on his own drawings, called ‘The Billy T James Real Hard-case Book’ 1 & 2. However it was about this time that Billy was starting to have real health problems. He had had a heart transplant in 1989 (something he shared through a documentary called The James Gang Rides Again). In 1990 he returned again to the stage with a show called ‘Billy T James, Alive and Giggling’. Among the guests on that show was another New Zealand icon, Sir Howard Morrison. But alas it was not to last and Billy’s health deteriorated in the months following the show. Sadly he died of a heart attack in August 1991. Billy T James is without doubt New Zealand’s greatest comedian and by general consensus the greatest entertainer New Zealand has ever produced. He is uniquely New Zealand and his fame and importance to our society has lasted well after his death. His ability to make New Zealanders laugh at themselves is the reason he will live on forever in the minds of everyone who ever saw him perform. He was New Zealand Entertainer of the Year in 1984 and was named Entertainer of the Decade in 1985. He also won a Best Supporting Gofta, which is a NZ Film and Television award, for his role in ‘Came a Hot Friday’. 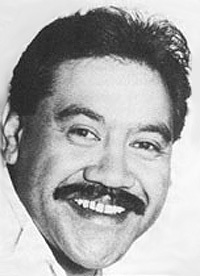 For his contribution to New Zealand entertainment Billy was awarded a MBE in 1986 and in 1990 he received the Variety Club Benny Award. His legacy lives on through the Billy T Awards each year, where aspiring comedians strive to win the legendary ‘yellow towel’. In recognition of his contribution to New Zealand entertainment and to New Zealand society, William James T Taitoko is the 9th inductee into the Whangarei Boys’ High School Fideliter Fellowship.